Warnbro South Early Childhood Centre renovated makeover. 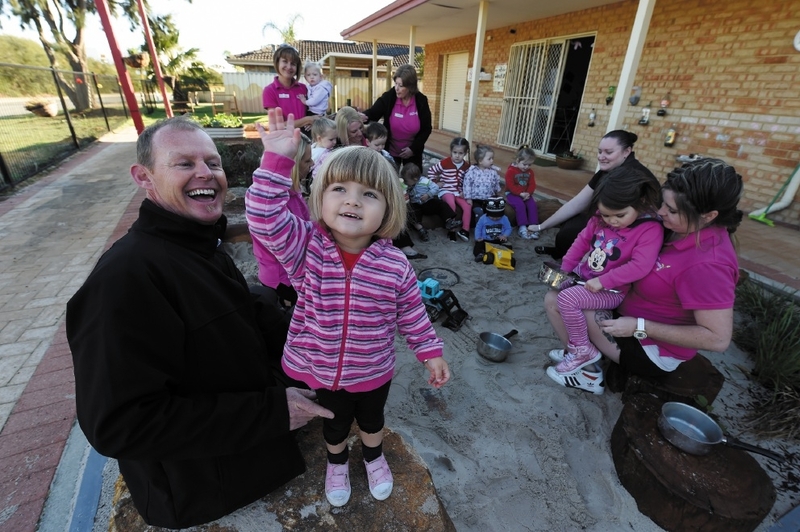 A WHOLE new world of interactive play has opened up at Warnbro South Early Childhood Centre. Children at the not-for-profit centre run by Mission Australia now have a renovated outdoor play area, complete with a mud pit and an interactive riverbed with stones and logs. Little shop-style structures made from timber add another dimension to the playground, which has been designed to promote the children’s interactive and imaginative play. Nature Play Solutions was engaged by Mission Australia to create the playground elements and PACT Construction and its sub-contractors donated services and skills to give the rest of the outdoor area a revamp. This included building a new tropical-style pergola with timber decking so that the centre’s youngsters, who are aged up to six years old, can enjoy the great outdoors come rain or shine.